Avoid having to replace your circulating hot water pad ever again due to punctures caused by needles, animal bites, nails or claws. The VSP Heat Pad Protector protects hot water heating pads, such as the Gaymar® model TP22B (15" x 22") T/pad from becoming soiled or damaged from frequent punctures. Use on the operating table or place inside a kennel for intensive and post-surgery care and recovery. 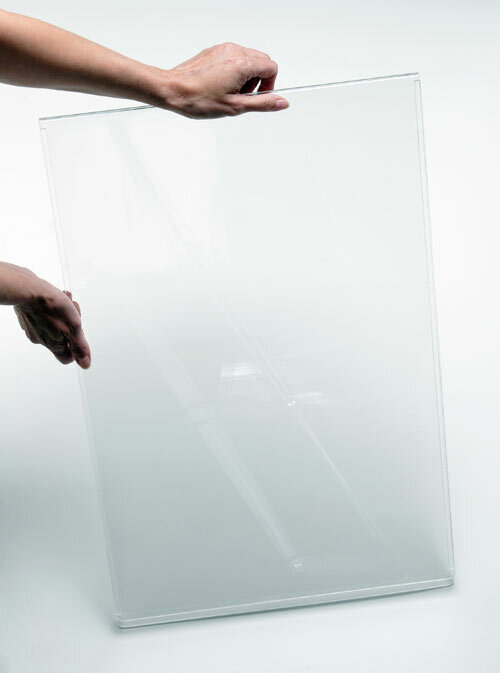 Made of a high-impact acrylic, it is highly resistant to breakage and can be easily cleaned after each use. Custom sizes available by contacting VSP. How to Order: Orders must be placed online or faxed to our order line at (913) 982-0882. For questions call (800) 362-8138 or (913) 268-3108. This website and all products included are solely for licensed veterinarians, veterinary schools or veterinary medical facilities. Only these customers are eligible to order products through this website. Verification of licensing may be requested at any time.